Scott Adams was one of the earliest public figures to predict Donald Trump’s election. 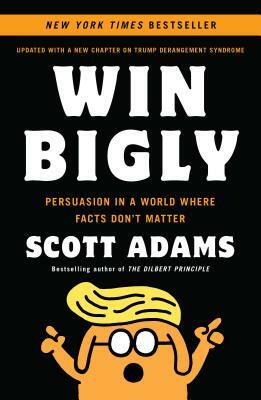 The mainstream media regarded Trump as a lucky clown, but Adams – best known as “the guy who created Dilbert” -- recognized a level of persuasion you only see once in a generation. We’re hardwired to respond to emotion, not reason, and Trump knew exactly which emotional buttons to push. Scott Adams is the creator of Dilbert, one of the most popular comic strips of all time. He has been a full-time cartoonist since 1995, after 16 years as a technology worker for companies like Crocker National Bank and Pacific Bell. His many bestsellers include The Dilbert Principle, Dogbert's Top Secret Management Handbook, and How To Fail At Almost Everything And Still Win Big. He is co-founder of WhenHub. He lives outside of San Francisco.